There is a clearance rack now that will have a changing stock of fabrics. As more space is needed for newer fabrics, more is added to the clearance rack. Adding fabric to stock as fast as I can. Over 30 new bolts in the last month. It has been fun to choose new lines of designs to have in the store. I am adding precuts also. There are a couple of magazines that are now in stock. So far there are 3 magazines that will be carried. 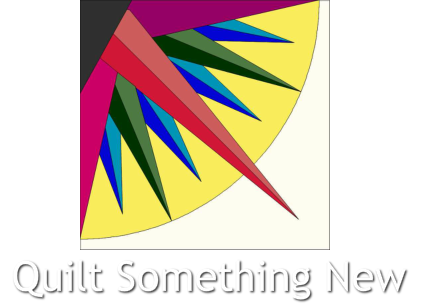 Our first project class is set for next week and it is FULL. It is for fabric bowls. Another project is in the works for early next month. Classes will be every couple of weeks it looks like. Most project classes will be able to be completed in an evening. A class for beginner sewers to make a small quilt and/or PJ pants is also in the works. It has been a busy 6 weeks for me so far and I am loving it. Please come in and visit. Participate in a secondary project! 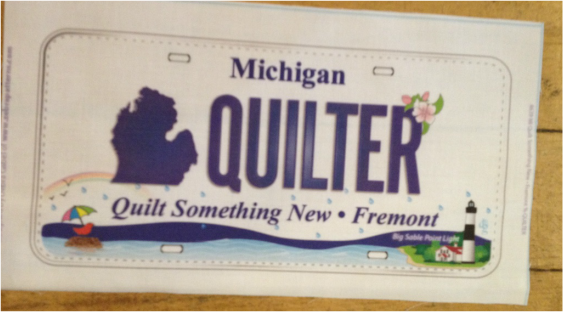 Along with the row patterns, various stores will be offering these beautifully printed license plates. Each one is unique in design but all are printed on the same high quality, quilting fabric. Come in and check out our project using these plates. Here is our row! Its called "Quilt in a Bottle" This cute applique pattern is free to pick up from the store June 21-September 8, 2015. We hope you all like our unique, creative row. This year's theme is "Water" and I think we managed to incorporate that pretty well, don't you think! Been busy over here. We have been working our little quilting fingers off getting ready for the upcoming Spring Shower of Shops. Our sample has been made and we are busy cutting kits. All that's left is to write our pattern. Well, officially write our pattern. In a form where you all can read it. This is my favorite piece of quilt making, if its not right after the time change or before a much needed lunch. 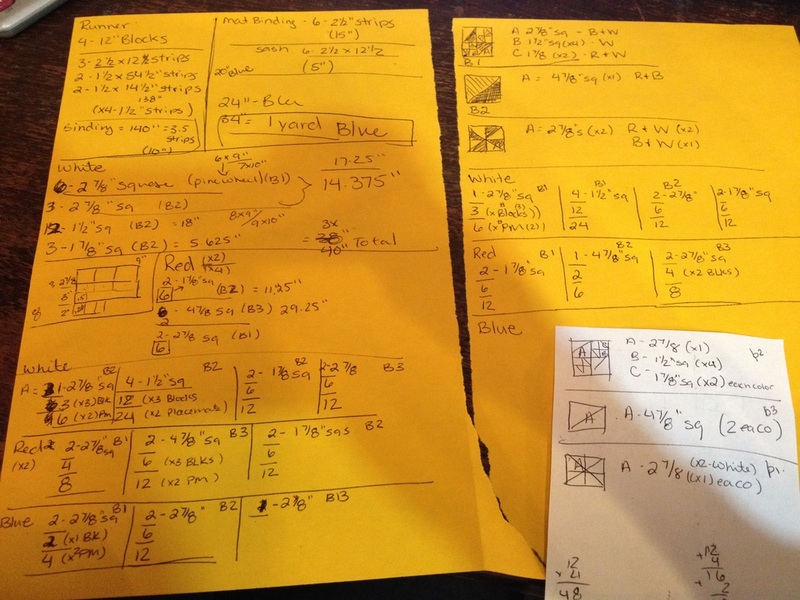 My head gets all swirly with numbers and fractions. lol. Here is s snapshot of what I have been doing today and with fingers crossed, have not spelling errors (my biggest down fall) and that all the numbers are matching up. I hope you are excited about this upcoming event as much as we are! We love seeing everyone on their week long journey and hearing all your fabulous stories. Well, I guess. I better get back to my pattern making. Enjjoy the beautiful juxtaposition of numbers that I see in my mind every day! Oh and by the way, I did make changes to what is shown on these papers. Sorry about last week. I was so busy getting ready for the Shop Hop coming up that I forgot to post our freebie on our blog. I did manage to post something on our Facebook page. I am NOT going to repeat myself this week. So, here is this weeks give away item is from a local lady. 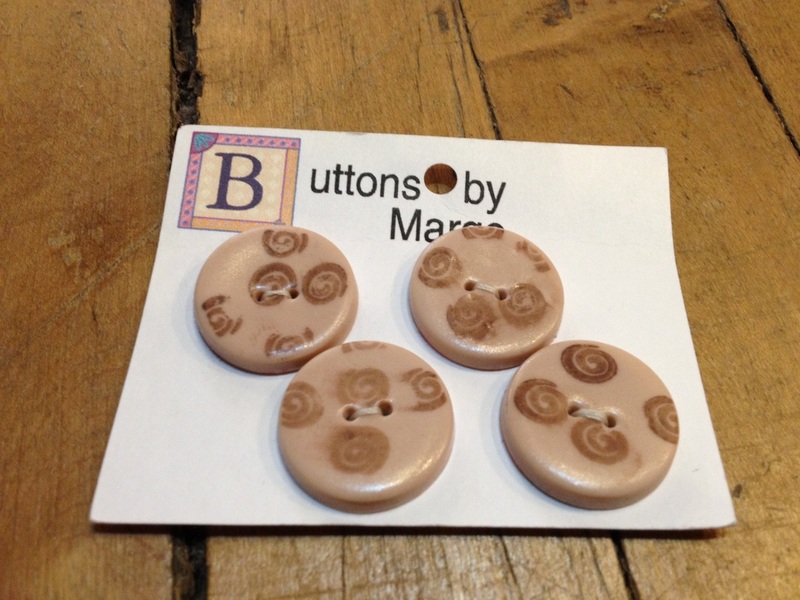 She makes polymer buttons from her home and we have had numerous buttons from here. They are great for bags, accents or whatever you want to use them in. Gotta love supporting local business women! This is my first attempt of a video tutorial. I have posted a tutorial by Ricky Tims, his single seam flying geese. I have made these before and they are FUN and EASY! They are three dimensional which add that much spark to your projects! Give it a try and let us know what you think! 1. Cut a light rectangle 3" x 3 1/2". 2. Cut two dark squares, 3" x 3". We are so happy you won this week! 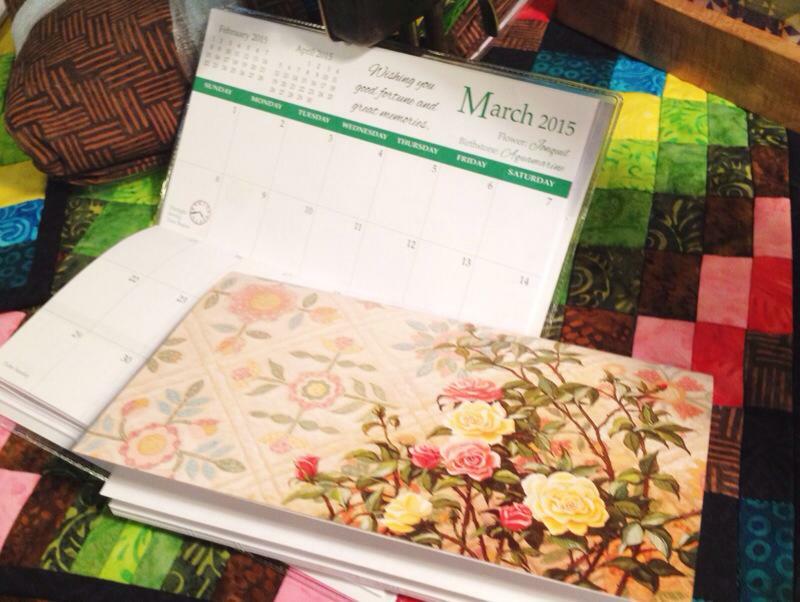 May this be the SPRINGboard of your quilting endeavor.